Good Morning, It is great to see you all here today. 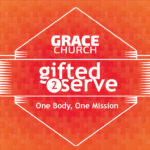 Last week we did a major review of our series Gifted 2 Serve because we took a couple months off for missions. So today we are not going to do much review at all. If you want to open (or turn on) your bibles we will be in Romans 12. Remember we have been talking about the concept of how God has Gifted us 2 Serve. He has given us as gifts to the Church to serve well. And when we do, He gives us tools to do the job He calls us to do. Think about that for a second. Not only does He give us a purpose and a job in His Kingdom, but He gives us the tools we need to accomplish the work He gives us to do. What an amazing God we serve. Today we are going to finish up our time in Romans 12 And today I want us to read the whole chapter because I want us to see the connection of this whole chapter together. Wow! There’s a lot in there. Today we are going to focus starting in vs 9 and I have entitled this sermon, “What Does a Servant Look Like”. As we serve in God’s mission with the tools He gives us there is an expectation that we do it in a way that brings Him honor and glory. Our goal is to serve Him well and to reflect the nature and character of Jesus Christ. So when we serve there are attributes and traits that should reflect in our service. If these are not present we need to seriously consider how (and Who) we are serving. Sometimes the reason these character traits are missing or even out of wack is because we have forgotten who we are serving. We may have even started serving ourselves instead of Christ. Lets look at these traits. When we begin to think about service it has to start with love! We serve because of our love for God. And the only way we love God is because He first loved us. (1 John 4:19) This is the crux of the Gospel. If our service is motivated by anything else we cannot serve the way God calls us to serve. So here is some questions? Do you know God’s love in your life? Have you accepted His love completely? Does the love He has for you, overflow to those around you when you serve? If not, why not? Maybe you need to stop right now and repent and ask God to place His love in your heart as you serve in His name. Notice it also can not be forced it must be sincere. It is not a fake love. When we fake loving others, they can tell. Next is devotion to each other as family. This is a fascinating phrase in Romans. The reason is that this word that Paul is using is only found 1 time in the New Testament. It is actually a compound word of 2 different greek words for love. Philo and storge. It was like Paul had to make up a brand new word to describe the idea. The best explanation of this idea is the love a mother has for their child. We are to be willing to do anything for the other person because they are family. Next he says honor each other. The NLT says it this way “take delight in honoring each other”. Is that what it looks like when you serve? How do we honor one another, by valuing others and being a good example of how to treat others. Not tearing each other down instead valuing them. Don’t be lazy, Work hard, be committed to the work. This has always been a pet peeve of mine. If you say you are going to do something do it. Commitment is something that is sorely lacking in our society today. It is way too easy for us to make excuses as to why we don’t follow through on commitments. What would you think if I came in on a Sunday and said, “I’ve had a busy week, I didn’t have time to prepare a sermon so we are just not going to do that today. Someone else want to speak, someone else can do it today. Keep your spiritual fervor, literally means “get fired up in the spirit” to serve the Lord. You see once again we are not serving “the church” or serving “pastor” we are serving God the one who saved us and loves us. Paul says take in service because of the hope that you have. When times get tough be patient because it is God that has called you to serve Him, be faithful in praying for those you serve and serve with. Why because that is how we love! Now I have to admit that is convicting to me. I am not as faithful as I should be in praying for you my church family. And I make that a commitment to you. I am going to grow in this area. I need to be better in this! Be Generous, If you see someone who is in need and you can fill that need do it. Don’t just say man I will pray for you. God is the provider and he might be asking you to reflect His character in providing for others needs. If God shows you the need and you can help, do it and watch God bless you over and above. We are bless by God to be a blessing to others. Practice Hospitality! What does that mean? Open up you home! Invite people over. Can I say this is a weakness in our society and in our church. We need to be better about this. We have been at this church for 3 years now. 2 weeks ago we celebrated our 3 year of ministry here. There are people that have called me Pastor for 3 years and I have never been to your home. If we were a church of 250 or 500 I could see that but that is not who we are. I am not going to invite myself. Now don’t get me wrong it is not just about me. How many of us connect outside of this building? We are family and we should serve one another as family. Let’s open up our lives and homes to one another. Don’t be so consumed with your life that you don’t know what is going on with those God has called you to serve. Rejoice with them, know what is going on with them. If they are struggling, join them in their struggles. Be a peacemaker, Keep your pride in check. Hang out with people who are “below you”. Don’t think you have arrive and you can’t learn something from others. 18 If it is possible, as far as it depends on you, live at peace with everyone. 19 Do not take revenge, my dear friends, but leave room for God’s wrath, for it is written: “It is mine to avenge; I will repay,” says the Lord. 20 On the contrary: “If your enemy is hungry, feed him; if he is thirsty, give him something to drink. In doing this, you will heap burning coals on his head.” 21 Do not be overcome by evil, but overcome evil with good. Lets wrap this up. Don’t make yourself judge and jury. God is the one who will set things right in His time and His way. Treat your “enemy” with kindness. Kill them with kindness. Overcome their resistance to God by showing His goodness to them. That is what it looks like to be a servant of the King. Notice nothing in that list is not something God has not done for us! Say it with me, “What God does to you … He wants to do through you!” Amen? Amen! Next week we will begin to to look at 1 Corinthians 12-14 Homework! 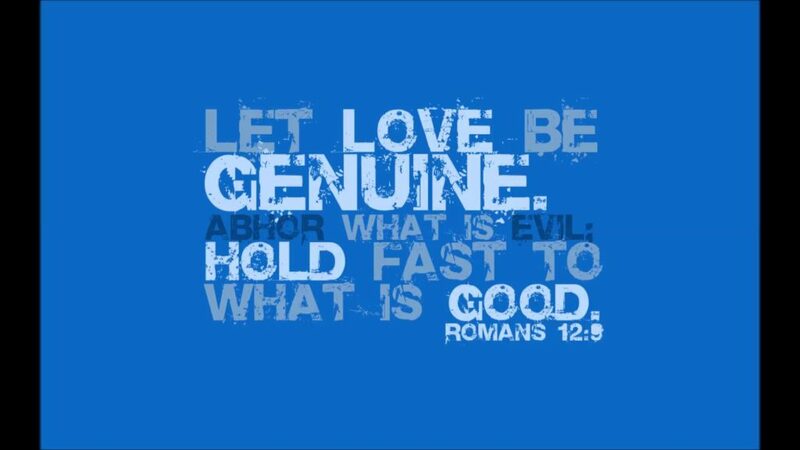 Read 1 Corinthians 12-14 this week and notice the threads of service and love. 12 starts talking about gifts and it doesn’t end until the end of Chapter 14.